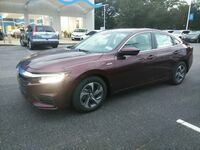 Drivers near Tuscaloosa, AL searching for an innovative and efficient new sedan are in luck with the new 2019 Honda Insight. The new 2019 Honda Insight joins the Honda lineup as its fifth electric-powered model (joining the Honda Accord Hybrid, the Clarity Fuel Cell, the Clarity Plug-In Hybrid and the Clarity Electric). 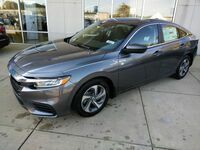 Keep reading to learn more about the new 2019 Honda Insight at Townsend Honda! While the highlight of the new 2019 Honda Insight is its fuel-efficient performance, the new Insight isn't a one-trick pony and offers a lot new and high-tech interior features. 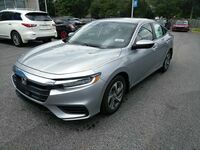 The 2019 Honda Insight is offered in three trim levels (LX, EX and Touring), each offering a unique set of standard and available features, options and more. The Honda Sensing® suite of safety technology is included on all trim levels with Honda LaneWatch™ added on EX and Touring models. Some of the best features of the Honda Sensing® safety suite include Adaptive Cruise Control with Low-Speed Follow and Collision Mitigation Braking System™, among others. Other available high-tech features found inside the new Honda Insight include an eight-inch Display Audio touchscreen infotainment system with Android Auto™ and Apple CarPlay™ compatibility, a 4G LTE Wi-Fi Hotspot, rain-sensing windshield wipers and more. Within the interior of the new Insight, drivers and passengers will enjoy the comfort and spaciousness provided, including 16 cubic feet of cargo space and a standard 60/40 split rear seatback. The sporty sedan features seating for five passengers. 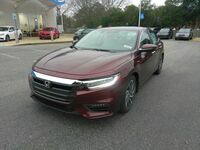 Schedule a test drive of a new 2019 Honda Insight at Townsend Honda of Tuscaloosa, AL today!